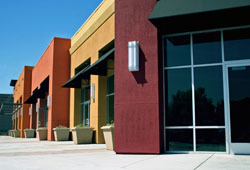 Ideal for Apartment Buildings, Shopping Malls, Strip Centers, Office Buildings, Warehouses, and more! Landmarc Realty offers Property Management and Asset Management services to commercial property owners throughout Tampa Bay, including Tampa, St. Petersburg, Clearwater, and surrounding areas. Our property management services are ideal for Tampa Bay commercial property owners who need assistance with day-to-day operations, rent collection, maintenance, and more. At Landmarc, we believe that that the first step in effective property management is an open line of communication between the owner and managing agent. This includes frequent disclosure of property conditions, policies, financial concerns, and daily operations. We also emphasize effective upkeep of the property, developing preventive maintenance programs to prolong the longevity of the buildings systems and property value. We provide sound financial management. 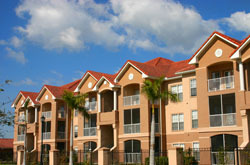 We review and carefully monitor all property expenses to reduce unnecessary costs. Our asset managers customize financial statements to conform to the owner's requirements. Annual budgets are prepared and submitted for review in advance of the new fiscal year. Contact us now at 813-600-1750 for a free Property Management Analysis, and learn how Landmarc Realty can more efficiently manage your property.